With Oil-Rubbed Bronze trip lever. An excellent value, the Adair toilet features a striking organic design inspired by the windswept rock formations of Sedona, Arizona. 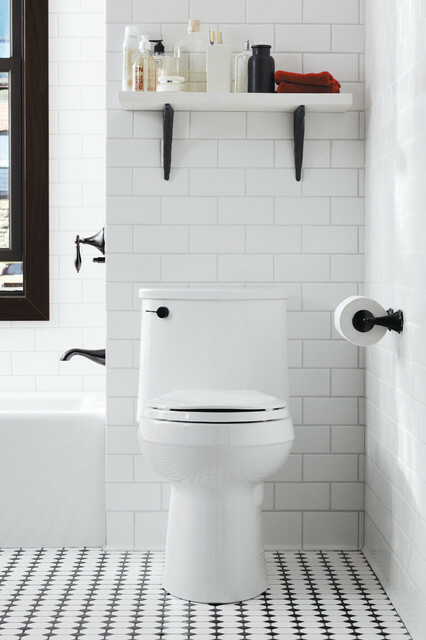 A slim tank and pared-down oval forms make this compact, high-efficiency toilet perfect for smaller spaces. A 1.28-gallon flush provides significant water savings of up to 16,500 gallons per year, compared to a 3.5-gallon toilet, without sacrificing performance. What do you think about this toilet? SY: Yes.